The leader of the band Sir Bob Cornelius Rifo a.k.a Simone Cogo was born in 1977 in Bassano del Grappa, Italy. Now he still lives in Bassano del Grappa but he also lives in Los Angeles, California at the same time. He was a classically trained musician, but gained reputation for producing music with styles ranging from punk rock to the new wave of the 1980s. His identity remains largely anonymous. In fact, the only identifying public feature he has is the year "1977" tattooed across his chest, which is the year of his birth, that coincided with the year punk-rock was born. 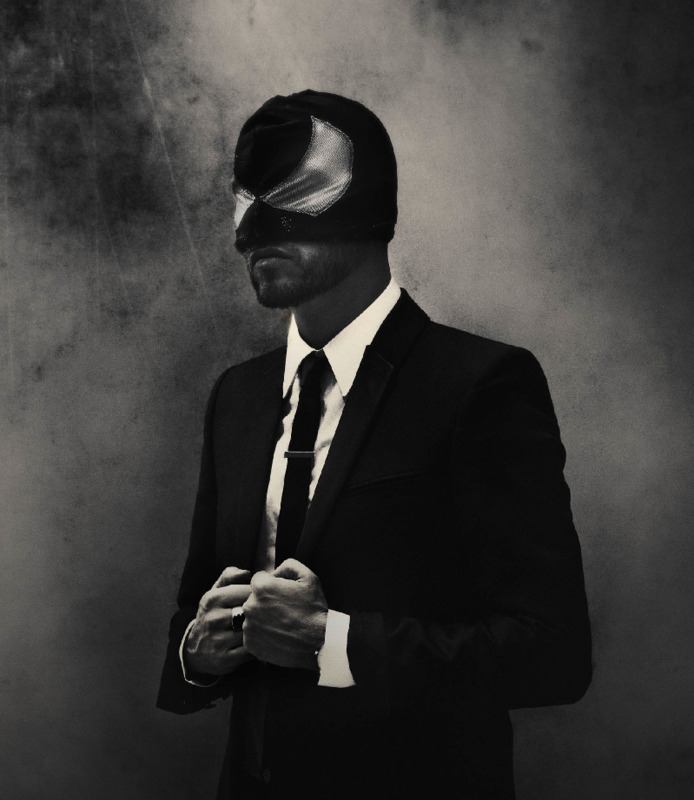 Rifo, a music producer, DJ and photographer uses the pseudonym The Bloody Beetroots himself. Sir Bob Cornelius Rifo gained the support of Etienne De Crecy, Alex Gopher, and Dim Mak's Steve Aoki with his early singles "Warp 1.9" and "Cornelius". In 2008, his EP Cornelius was in the Top 100 International iTunes downloads. This album was a complete art project composed of music, videos, and fashion. The Bloody Beetroots DJ Set (Dj Rifo and "Fxs" Guy Tommy Tea) had a short tour of the United States in early 2008, alongside DJ Steve Aoki During this period, members of the group wore black Venom mask, and occasionally red masks. The Bloody Beetroots DJ Set played many notable festivals including Stereosonic Festival in Australia, Ultra Music Festival in Miami and Rock Werchter in Belgium. During his 2010 Live Tour, Sir Bob labeled himself and the live band The Bloody Beetroots Death Crew 77 and introduced drummer Edward Grinch. Tommy Tea was in charge of effects and sampling in the live band. In 2011, Grinch left the band and Battle took his place on drums. Later in 2011, during the Church of Noise tour, vocalist Dennis Lyxzén of the punk band Refused joined and provided vocals for a few songs. With the new live show they've continued playing on various festivals across the world: Solidays Festival in Paris, MELT! Festival in Berlin, Extrema Festival in Eindhoven, Tomorrowland in Belgium, HARD Fest in Los Angeles, Electric Zoo in NYC, and headlined NYE '11 at LA's Together as One. "Church of Noise" featuring Dennis Lyxzén, released in late 2011. A first single, "Rocksteady", was released in early 2012 with the two-part extended plays of remixes. The second single "Chronicles of a Fallen Love" featured Greta Svabo Bech was released in December 2012, also with the two-part extended plays of remixes. In February 2013, Bob Rifo announced a third single "Spank", that was produced with TAI and Bart B More and a music video launched Sir Bob Cornelius Rifo also collaborated with Paul McCartney on the single "Out of Sight" on Ultra Records. It was released in June 2013. For the entirety of 2012, Rifo and Tommy Tea toured the world as The Bloody Beetroots DJ Set, including performances on festivals such as Tomorrowland, Ultra Music Festival and HARD Fest New York. At the beginning of 2013, Sir Bob Cornelius Rifo re-introduced the live crew under the new name The Bloody Beetroots Live, which debuted in Australia in January. The mask Rifo wears on stage has been re-designed as well, now featuring wearable LED lights on the Venom-shaped eyes, which are controlled via wi-fi. The rest of the band also wears new masks, though they do not light up like Rifo's. The new live band consists of Sir Bob Cornelius Rifo (piano/effects, guitars, vocals), Battle (synthesizers, bass guitar) and Edward Grinch (drums). In Australia, Grinch was replaced by member New Mad Harris on drums. In 2013, Rifo announced and released a new social media platform called "The Real Church of Noise" which is a "safe haven for like-minded individuals to share and collaborate". The platform incorporates sharing services such as YouTube, Soundcloud, and others. A number of The Bloody Beetroot tracks and musical scores have appeared in popular video games. A remix of "Black Gloves" by Goose became part of the soundtrack for Pro Evolution Soccer 2012. In 2011, the song "31 Seconds to Die" was included on the soundtrack of Saints Row: The Third. A new track, "The Source (Chaos and Confusion)" debuted on the soundtrack of Saints Row IV, which also features The Bloody Beetroots' remix of "Congorock – Ivory". Bloody Beetroots has also marketed distinctive fashion items. Most notably, in collaboration with French label Sixpack France, a limited edition specially designed popular band line of t-shirts was released for sale.